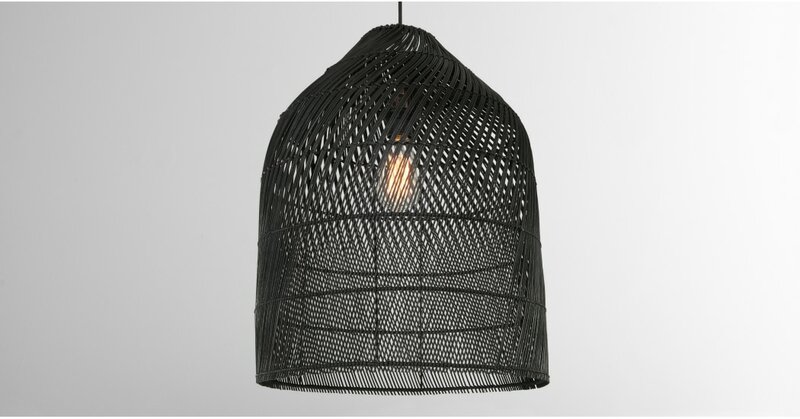 Our rattan light shade range plays with cool and kitsch 70s style, while offering a modern take. And the black shade will give your home an industrial update. Crafted from a natural rattan weave, our Java shade brings the outdoors in. The silhouette showcases the intricate construction while the layered finish creates texture and pattern. We’ve made this shade super-easy to fit so there’s no need to call an electrician in. Simply slip the style onto an existing pendant fitting.